Do you know what present I give my hubby on our first Valentine's Day celebration?? It's this butter cake and a big DIY pillow made by me...hehe!! I still can't afford to buy him a present at that time. 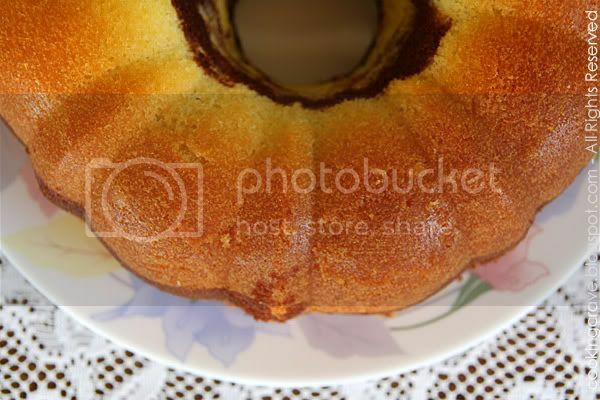 My father are a big fan of this butter cake and whenever I bake this cake, I will give him some. Sieve cake flour, baking powder and salt together. Set aside. In a big bowl, cream butter and sugar until it's pale and creamy. Add in egg one at a time, mix until it's well combined. Fold in the cake flour slowly spoon by spoon. Scoop 3-4 spoon of the cake batter into another smaller bowl. Mix the choco powder and water until it's fully dissolve, strain if necessary and add it into the spoon out batter to get the chocolate mix batter. Add the vanilla essense to the remaining batter in the bigger bowl. Scoop the vanilla batter the the baking pan and follow by the chocolate batter and repeat this action again. Cover the top of the cake with vanilla batter. Use a chopstick to draw zic-zac on top of it to get some nice marble pattern for the cake. Bake the cake at 160c for 30 mins or until it's golden brown and the toothpicks inserted came out clean. We can make the orange flavoured butter cake by just replace the 2 tbsp water with orange juice and add in 1 tbsp of finely chopped orange rind. We can always replace the 2 tbsp of water with milk for the basic butter cake. It's a easy recipe for butter cake, try it! 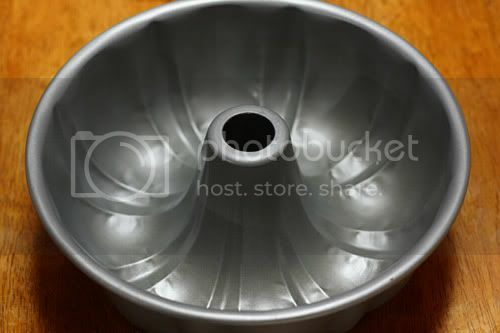 PS : I use new bundt pan for baking this cake and I have to reduce the temperature of my oven to 150c and cover the top with an aluminium foil after 20 minutes baking time and it took more than 30mins for the cake to fully cook. I found this pan gets warm easily and the bottom of the cake got burnt before the top of the cake are brown and cooked. i'm sure your hubby must have been thinking that you make a great wife already back then... and such great effort too. 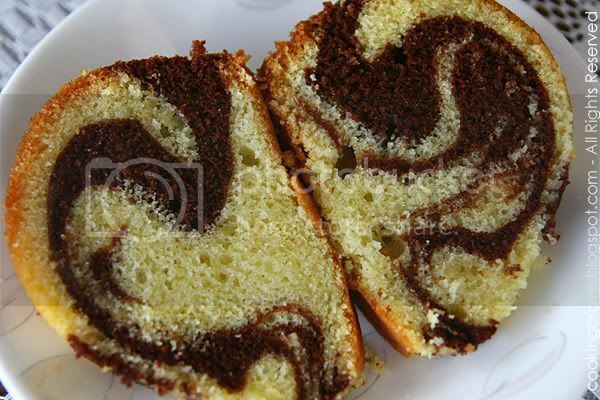 your marble cake looks very pretty, the swirl! 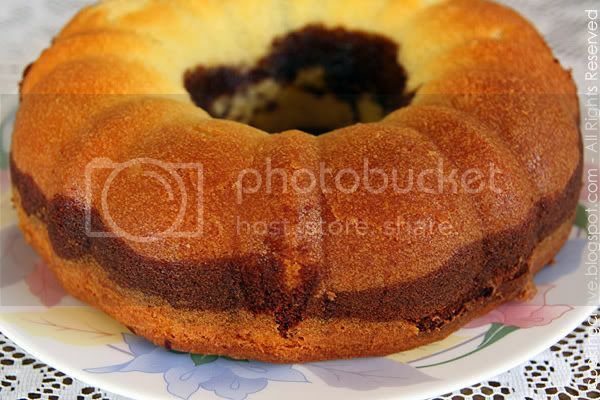 Your marble cake look delicious, well done. finally come back ald!! LOL! The cake looks so moist and delicious.